Rugby league is an international collision sport played at junior, amateur, semi-professional and professional levels. Due to the high numbers of physical collisions and tackles, musculoskeletal injuries are common. A large percentage of injuries result in long-term employment and study limitations, medical costs and loss of income. 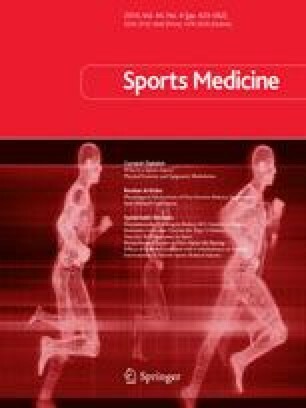 Review articles addressing the applied physiology of rugby league and common rugby league injuries have been published. However, both of these review articles have focused on the professional rugby league player. This review addresses the extent of the injury problem in rugby league in all levels of competition (i.e. junior, amateur, semi-professional and professional). The incidence of rugby league injuries typically increases as the playing level is increased. The majority of studies have shown that the head and neck is the most common site of match injuries in senior rugby league players, while knee injuries are the most common site of injury in junior rugby league players. Muscular injuries are the most common type of injury sustained by senior rugby league players, while junior rugby league players more commonly sustain fractures. Injuries are most commonly sustained in tackles, by the tackled player. Thigh and calf strains are the most common injuries sustained during rugby league training, while overexertion is the most common cause of training injuries. Player fatigue may influence the incidence of injury, with most sub-elite (amateur and semi-professional) rugby league injuries occurring in the second half of matches or the latter stages of training sessions. The majority of training injuries occur in the early stages of the season, while match injuries occur in the latter stages of the season, suggesting that changes in training and playing intensity may influence the incidence of injury in rugby league. Injury prevention studies are required to reduce the incidence, severity and cost of rugby league injuries. These injury prevention strategies could include coaching on defensive skills, correct tackling technique, correct falling technique and methods to minimise the absorption of impact forces in tackles. Game-specific attacking and defensive drills practised before and during fatigue may also encourage players to make appropriate decisions under fatigued conditions and apply learnt skills during the pressure of competitive matches. Further studies investigating risk factors for injury in junior and senior rugby league players, injuries sustained by specific playing positions and the influence of injuries on playing performance are warranted.